The text to voice function is widely implemented at basic free-hand systems. However, if you use that kind of accessories, it is a tool that has its value and, if it works, can make you become more productive. The Motorola H17txt is the new hands-free of the American manufacter, and it comes with MotoSpeak technology that not only reads text messages but also is capable of answering them with automatic responses. Motorola H17txt, reads us the text messages even with abbreviations. 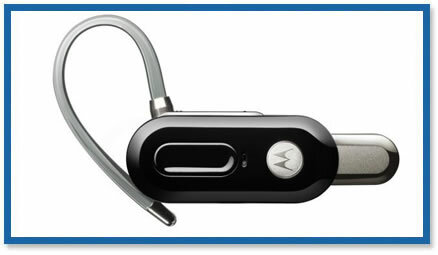 The hands-free gets communicated with the mobile phone through Bluetooth and it´s compatible with the different terminals, not only with Motorola’s. The greatest advantage of this system will be obtained once we install in the phone the application that converts text in voice. It can be found in many mobile application stores, but, of course, you will find it for sure at Android´s, the operative system resurrected by the brand. The thing we like the most is that Motorola H17txt can read our messages when we turn it on, indicating also the name of the contact that sent it to us, so looking at the phone or touching any button is no longer a problem with this Motorola´s hands-free. A problem we might think that the text to voice function may have is with the typical abbreviation of the SMS. This Motorola recognizes the most used abbreviations and translate them to us. The auto-response function of this Motorola H17txt is also interesting. We can, for example, automatically notify someone who sends us a message that we are driving and that we will answer them as soon as we can or even have several standard messages for common responses. And, if the phone to which we couple this handsfree has GPS function, we can go listening step by step the instruction of the route without letting the other passengers know or disturbing them.